Historical dramas are books that are in my opinion perfect for travel and cozy winter nights. Not knowing anything about Catherine the Great, I was curious to learn more in this novel by Eva Stachniak, which was a recommended read for me via my Kobo. 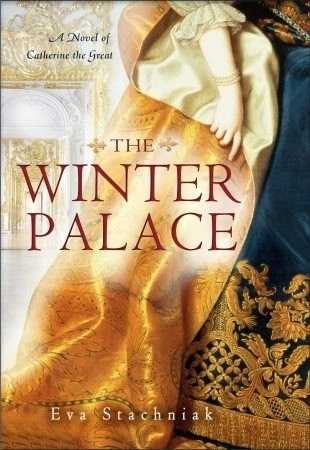 Described as a "passionate novel that illuminates, as only fiction can, the early life of one of history's boldest women," the story of The Winter Palace revolves around the arrival of a young German princess named Sophie in the 18th century to the Russian court and how she eventually becomes one of Russia's greatest monarchs. The story is told from the point of view of a young orphan called Barbara, or Varvara, as she is known in Russia. Varvara is a young servant at court who in her struggle to simply survive, becomes a "tongue" or court spy for the old queen, Elizabeth. Varvara's loyalty quickly shifts though as she strikes up a friendship with Sophie and she becomes utterly devoted to her. With its lush descriptions of gowns, palaces and gossip, The Winter Palace is kind of like a more gossipy version of Game of Thrones without the magic and less killing. Although Sophie is depicted as an innocent whose political skills are forged in a trial by fire, the book continuously foreshadows that Sophie may not be everything she appears. In the end, it is Varvara the spy who is left caught out. Thoroughly entertaining and a light read, The Winter Palace is a great intro to Russian history. I found myself reading up on Catherine the Great after reading this book and would definitely read more of Stachniak's tales of courtly intrigue!